Consumers who weren't ready to to order at exactly 12:01 a.m. Pacific time on Friday have missed their opportunity to receive an Apple Watch on launch day, as every model is now unavailable until at least mid-May. Apple Watch Sport was the first to go, with delivery times slipping to "4-6 Weeks" less than 5 minutes after pre-orders opened in some locations. Stainless steel models quickly followed, though some of the more expensive versions remained available for launch day delivery for over an hour. Edition models skipped the 4-6 week window entirely, dropping directly to June, where nearly all models now stand. Apple warned of supply constraints earlier this week, choosing to take pre-orders exclusively online to cope with expected demand. Many consumers appear to have followed the company's advice to stay home, leaving relatively quiet scenes at Apple retail stores around the world. "We are excited to welcome customers tomorrow and introduce them to Apple Watch, our most personal device yet," Apple retail chief Angela Ahrendts said. "Based on the tremendous interest from people visiting our stores, as well as the number of customers who have gone to the Apple Online Store to mark their favorite Apple Watch ahead of availability, we expect that strong customer demand will exceed our supply at launch." Even the finely-tuned iPhone supply chain struggles to meet demand when new models are launched. While some believe that Apple is purposefully withholding Apple Watch stock to drive an increase in perceived demand, that remains an unlikely possibility. The Watch is an extraordinarily small and complex device, using many components that have never made their way into a shipping Apple product before. 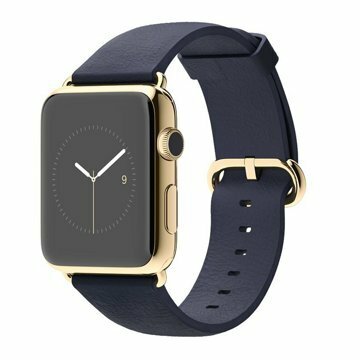 Sources told AppleInsider last month that Apple faced production issues with the wrist-worn device "at every stage of the development." Apple CEO Tim Cook has previously discussed his displeasure with the fact that Apple is required to schedule major media events— like the Watch unveiling— months in advance, as it needs to coordinate the availability of venues larger than its on-campus auditorium. This situation prompted the addition of a larger facility to the company's new spaceship campus, and could have been a tip that Apple would have preferred to push the Watch debut back, but could not for logistical reasons. Lending credence to word of supply constraints, Apple also shipped apparently buggy versions to advance reviewers, promising that new software would address many of their issues before consumers receive the devices, an extraordinarily unusual move for the company.